This is a copy of a publication in Teaching Sociology 38(4):392-393, October 2010. Please cite as: Deflem, Mathieu. 2010. The Sociology of Deviance: Differences, Tradition, and Stigma, by Robert J. Franzese. Teaching Sociology 38(4):392-393. The sociology of deviance remains one of the most beloved specialty areas of our discipline, at least among many of our students, if not always among many of our fellow scholars. The field is also richly filled with textbooks of all kinds. So it may be difficult to see why another textbook in the sociology of deviance is needed and what such a book could contribute to our teaching that other books have not yet been able to accomplish. Despite conditions, Robert Franzese has written a textbook on deviance, one that he introduces in the preface as having a central focus on differences. Thus, Franzese’s book presents a specific angle from which it reviews various traditions in the sociology of deviance. The particular approach of the book is further clarified by the subtitle, especially the addition of the term stigma, which is conceived as a tribute to the work of Erving Goffman and to emphasize the merits of societal reaction perspectives. How, then, is the book structured, and what are its main merits and limitations? The book contains an introductory part and two main parts on theory and substantive issues, respectively. 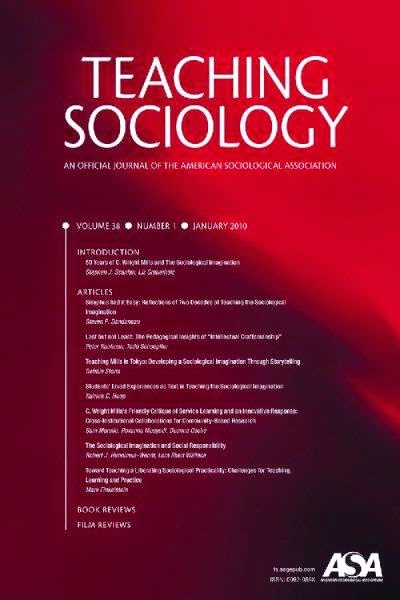 The various chapters are introduced by means of illustrative cases to facilitate students’ understanding into more abstract issues in the sociology of deviance. The author introduces a general definition of deviance based on extant conceptualizations from the literature. In specifying broad models of deviance, the author again relies on existing conceptualizations, specifically those forwarded by Alex Thio and Ruth Shonle Cavan. A second introductory chapter briefly introduces the central methodological social science perspectives of ethnography, survey research, and secondary data analysis. The second part of this textbook focuses attention on the main theoretical approaches in the study of deviance. The author first briefly reviews the theories and then proceeds to offer lengthier overviews of a variety of theories. The theories that are discussed in this book squarely fall in the category of the usual suspects. First, the author discusses anomie and strain theory as it was developed by Robert Merton. Next, a chapter is offered on contemporary strain theories, such as those developed by Robert Agnew and by Richard Rosenfeld and Stephen Messner. Next up in the overview are the control theories of crime, especially those that were developed by Travis Hirschi and, later, in collaboration between Hirschi and Michael Gottfredson. Chapter 7 then focuses on the center piece of this book, devoting a discussion on societal reaction theory. Besides the leading proponents of labeling theory, this chapter also includes the works of Edwin Sutherland and Ronald Akers. Conflict and feminist theories are the subject matter of the last theoretical chapter. The final part of this book reviews a number of substantive topics on deviance, specifically, suicide, violence, substance abuse, mental disorders, sexual deviance, and elite and power deviance. I can be brief about these chapters because they each follow the same structure of first offering rather lengthy reviews of empirical trends on these behaviors and next, in a shorter section, offering an overview of some of the major theoretical explanations. In the theoretical sections, the author’s orientation mostly favors societal reaction perspectives. I can generally be rather straightforward in my evaluation of this book. I do not find that it offers much new under the sun and nothing much of value in the few instances when it is more original. There is not much here that can be learned that cannot already be learned in other textbooks. The one main contribution of this book is that it offers both theoretical and substantive discussions, a very useful combination that is not often explored in other textbooks. However, the two main parts of the book do not hold together besides a general orientation toward societal reaction theory. The qualities of each of the three parts are also rather limited. The chapters in the introductory part are but summaries of what other scholars have argued, without the author offering much of a general orientation to how these ideas hold together. The second, theoretical part of this textbook reveals many shortcomings as well. The way in which the central ideas in the sociology of deviance are structured reveals an astonishing ignorance of both the history and the systematics of the sociology of deviance. For instance, anomie and strain theory is discussed before differential association theory is explained. No discussion is presented of the Chicago School. Control theories receive a separate chapter, while Sutherland’s work is squeezed into the chapter on societal reaction. Within each chapter, similar intellectual blunders are committed. The work of Albert Cohen is explained before the writings of Richard Cloward and Lloyd Ohlin, but after the much more recent work of Agnew and Messner. Feminist theories are merged into a chapter on conflict perspectives. The intellectual blunders in this book are too many to mention. By example, the author’s brief excursion on Talcott Parsons is stunning in arguing that Parsons had only an indirect influence on the sociology of deviance by having been a mentor to Robert Merton. Remarkably, Parsons’s lengthy chapter on deviant behavior and the mechanisms of social control in his influential book The Social System is ignored. Analytically, also, this textbook’s notion of deviance as difference is unsatisfying on its face. There are many differences in the human condition that do not constitute deviance. In this book’s part on substantive issues of deviance, the readers are spared many of the intellectual limitations of the theoretical part. Yet instead, they are exposed to a largely descriptive presentation of data that in the present era could just as easily have been gathered from a good Internet search. In sum, this book does not make a useful contribution to our teaching of the sociology of deviance. In fact, I fear that it is books like these that give the field of the sociology of deviance the bad reputation that it often has on the part of those who are not familiar with the very best research and teaching materials that our field has to offer.